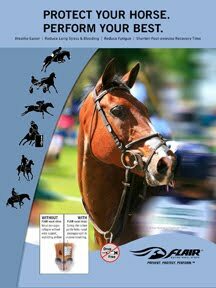 Wellington, FL - January 14, 2011 - The 2011 FTI Winter Equestrian Festival, which runs from January 12 through April 3, awarded another championship ribbon today. Section A of the Adult Amateur Hunters 51 and Over, sponsored by Camping World, came to a successful close early this morning. 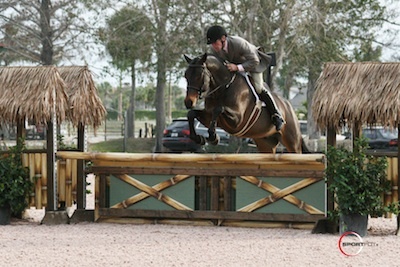 Bruce Duchossois, riding his own 11-year-old Hanoverian gelding, Nevada, got off to a good start on their first week of showing here at the FTI Winter Equestrian Festival. They were awarded the championship honors among a starting field of twelve horses and riders in the E.R. Mische Grand Hunter Field. Duchossois and Nevada won the division tricolor by winning one class and placing second in three classes. Not far behind Duchossois was the reserve champion, Lynn Rogers. Rogers was aboard her own horse, Anika B. The pair secured the reserve championship by winning both an over fences and under saddle class, and placing third in an over fences class. Duchossois, who trains with Havens Schatt, has been riding Nevada for two years. "Nevada is kind of like a big pony, but when he's good, he's really good," Duchossois said. Duchossois and Nevada will continue showing and competing here at the Palm Beach International Equestrian Center throughout the remaining weeks of the FTI Winter Equestrian Festival. After that, "We will show at Kentucky Spring, in Saratoga Springs, New York, then in Blowing Rock, North Carolina, and finishing the summer in Middleburg, Virginia," stated Duchossois. The Champion Equine Insurance Style Awards were presented this week in hunter and jumper divisions by sponsor Laura Whitlow. The winner of the hunter style award was Prestige, ridden by Ken Berkley for Gina Day, in the Pre-Green 3' Hunter division. They won the award for style that best exemplifies a show hunter, which was determined by the judge based on form, movement, manners, and way of going. In the Adequan 7/8 Year Old Young Jumpers, the award was split between Pacha de Nantuel and Reed Kessler and Laura Chapot on Quointreau Un Prince, who were both awarded the jumper style award. It was determined by the judges based on scope, rideability, technique, and competitive spirit. Champion Equine Insurance is dedicated to protecting your equine investment by providing comprehensive coverage, comprehensive rates though A rated companies with personalized attention to the individual needs of your horse. With over 15 years of professional equine insurance experience Laura Whitlow & Champion Equine Insurance offers unparalleled knowledge, integrity & customer service to provide the best protection for your champion and the peace of mind you deserve. Insure your champion with a champion. The weekend begins tomorrow at Week 1 of the FTI Winter Equestrian Festival with more junior and amateur championships to be awarded. Among the competition will be the Small Junior 16-17 Hunters sponsored by Illustrated Properties. 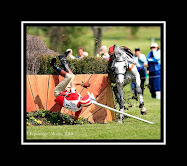 For full results please visit www.shownet.biz or for more information, visit www.equestriansport.com. Photo Credit: . This photo may be used free of charge only in relation to this press release. For high resolution images, please send a request toinfo@jenniferwoodmedia.com.